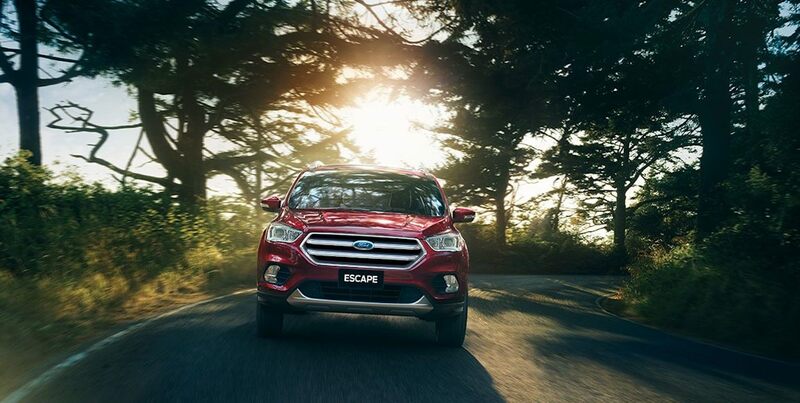 The heart of Escape’s exterior is a dynamic six-point grille. 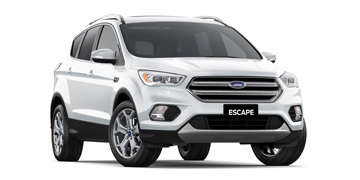 Sporting an athletic hood design, sleek body lines, and boldly sculpted wheel arches – Escape is perfectly poised and ready for anything. 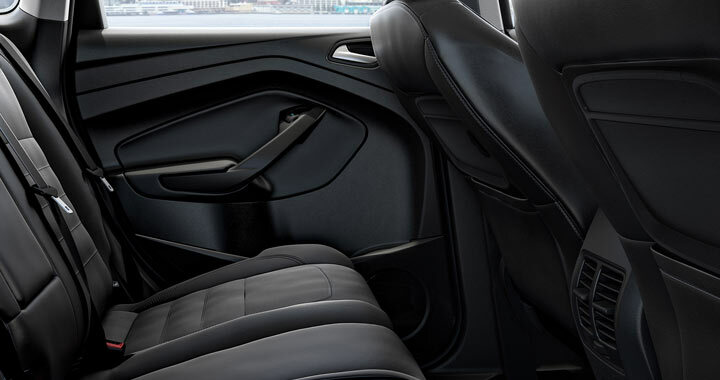 Escape's adaptable rear storage and versatile 60/40 split rear seats offer ample space for... well, almost anything. 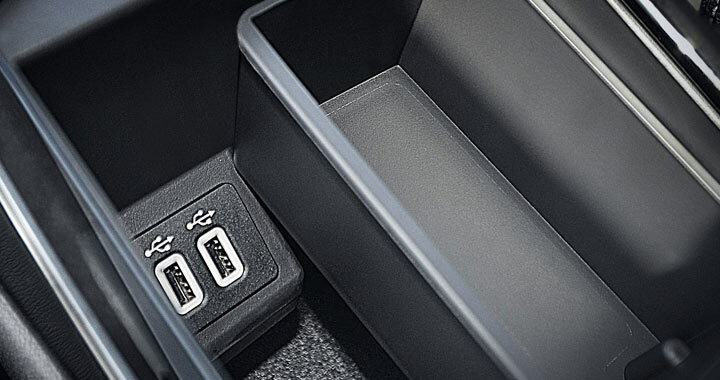 A reconfigured centre console is equipped with a media bin to stow your essentials and charge your devices on the go. 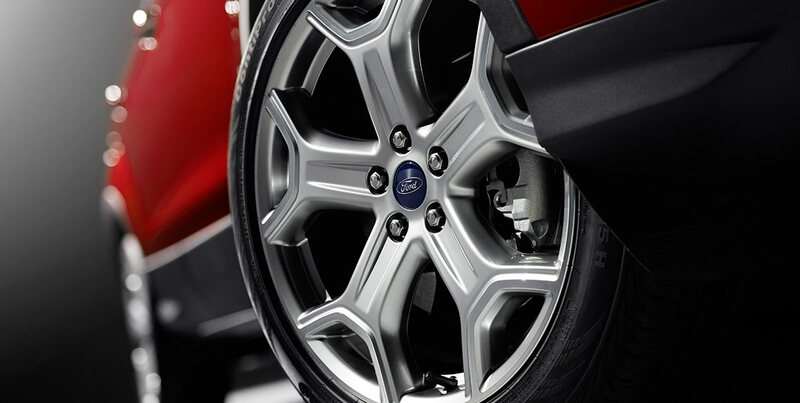 A new ergonomic 3-spoke steering wheel feels just right in your hands. 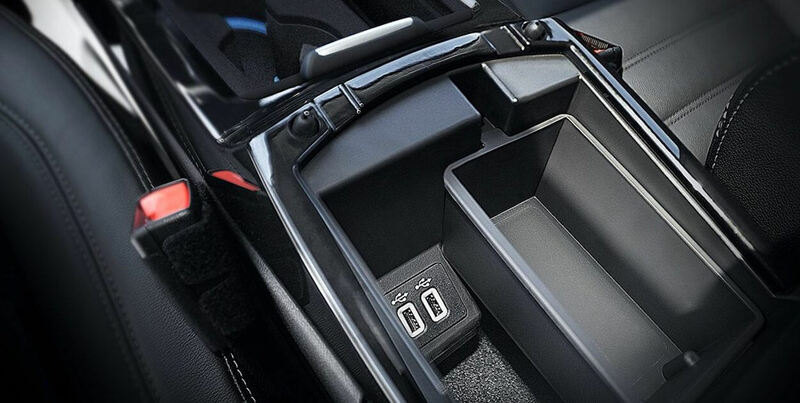 And the traditional handbrake has been replaced with an electonic parking brake - creating even more space. 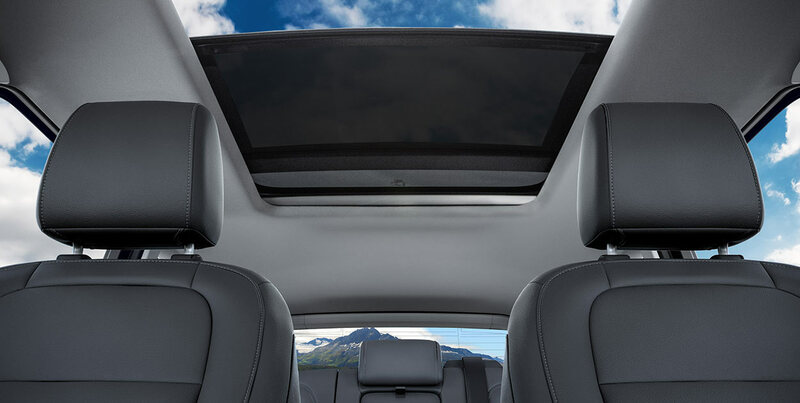 Taking up almost 50% of your roof space the glass roof brings the outdoors in, at the touch of a button. 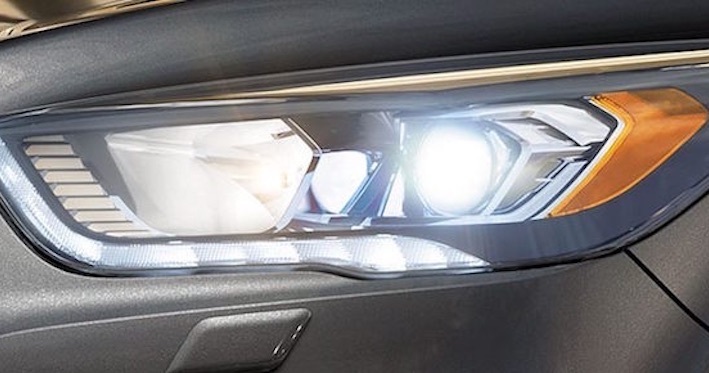 Twice as powerful as conventional lights, the adaptive bi-xenon HID headlights can detect changing road conditions and adapt beam patters for optional illumination. They even help you see around corners by directing light into a bend when you turn. 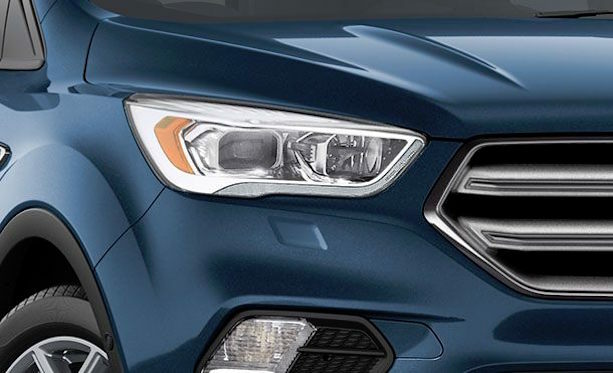 And during the day, the LED daytime running lamps help make you more visible to other drivers. 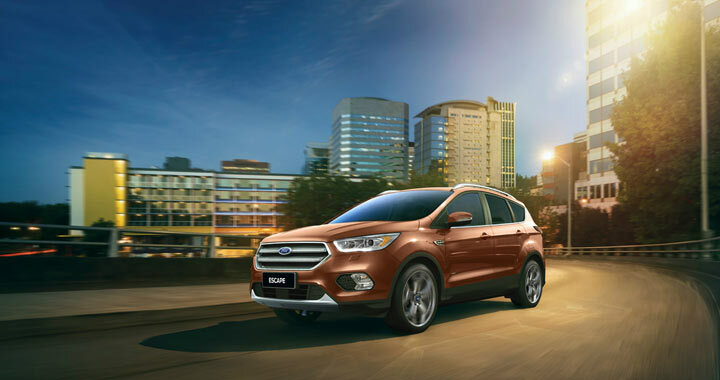 The Escape’s wide-angle reverse camera automatically activates when the reverse gear is selected. It gives you a clear view of what’s behind you and takes the guess work out of reversing. 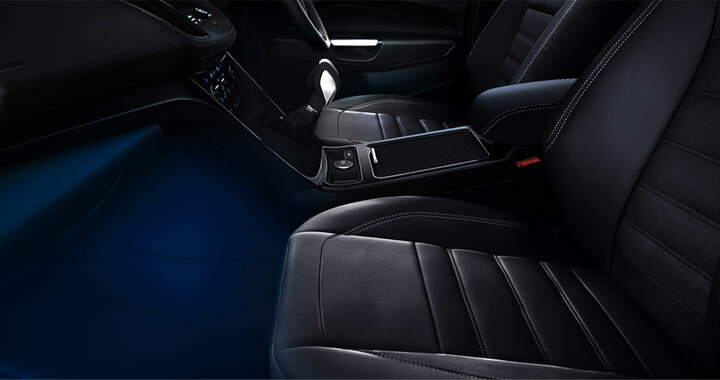 Choose between eight colours and bring Ambient Lighting 5 to footwells, door pockets and door handles. 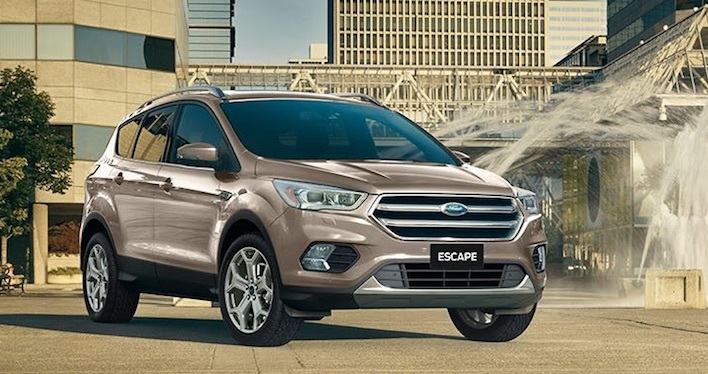 The Escape is a showcase of Ford innovation. Sync to favourite apps like Spotify, get live traffic updates on the 8 inch capacitive touchscreen6 7. 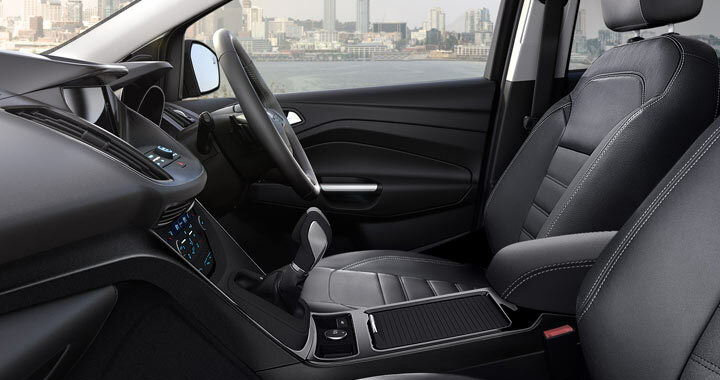 The intuitive SYNC® 3 system is smart and simple. With enhanced voice control and updated commands, even your kids can talk to it. The upgraded SYNC ® 3 6 system connects you to your world like never before. 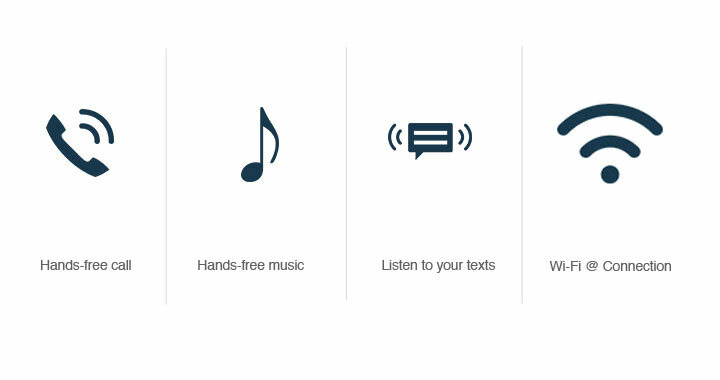 With enhanced voice recognition software, it's now even easier to make hands-free phone calls, listen to text messages 7, and play your favourite music. The 8-inch capacitive touchscreen features redesigned interface with intuitive functions like pinch-to-zoom. The system even updates automatically via WiFi ® 8. 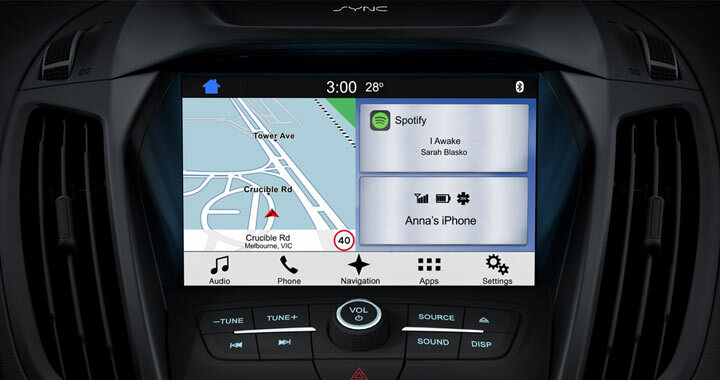 Best of all, SYNC® 3 6 seamlessly integrates with your compatible smartphone through Apple CarPlay 9, Android Auto 10 and AppLink 11 for hands-free control of your favourite apps 7. Say goodbye to the stress of parallel and perpendicular parking. 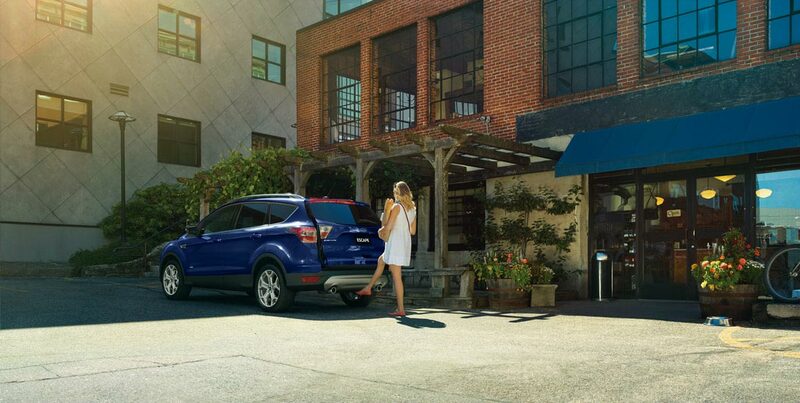 First Enhanced Park Assist helps you find a park. 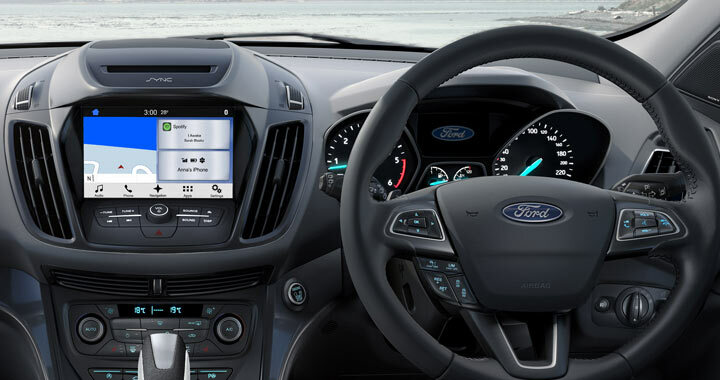 It then helps to steers you in and even helps you steer out while you work the gears, accelerator and brake. Goodbye traditional hand brake. 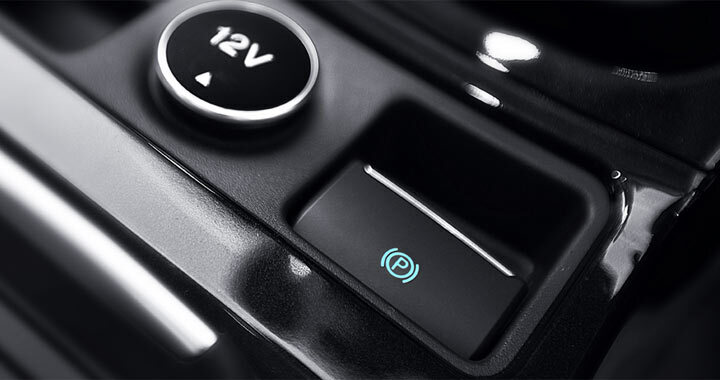 Escape's space-saving electronic parking brake lets you park securely with the touch of a button. 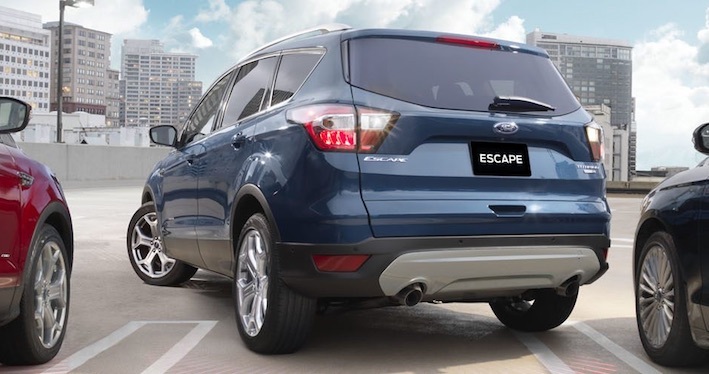 Put Escape into reverse and the rear view camera turns on automatically, allowing you to clearly see objects behind you. 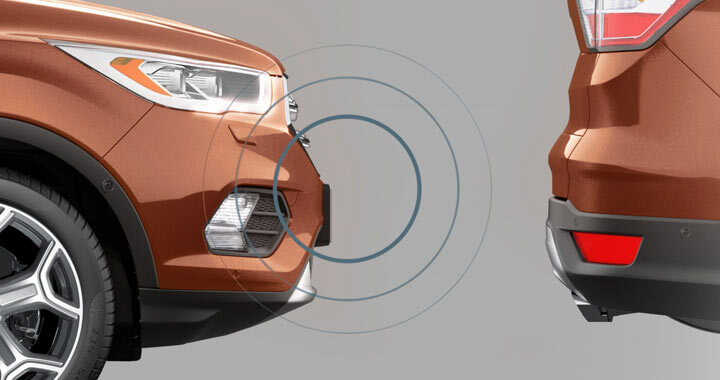 At the same time, rear parking sensors beep to help let you know how close you are to any hidden obstacles. 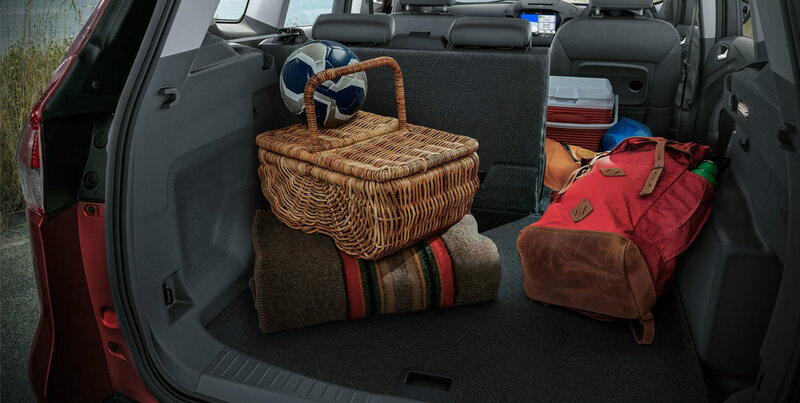 The hands-free power tailgate opens (and closes) with a wave of your foot under the bumper. Because chances are, if you’re putting things in the back you’ve probably got your hands full. It even adjusts to the height of your garage. 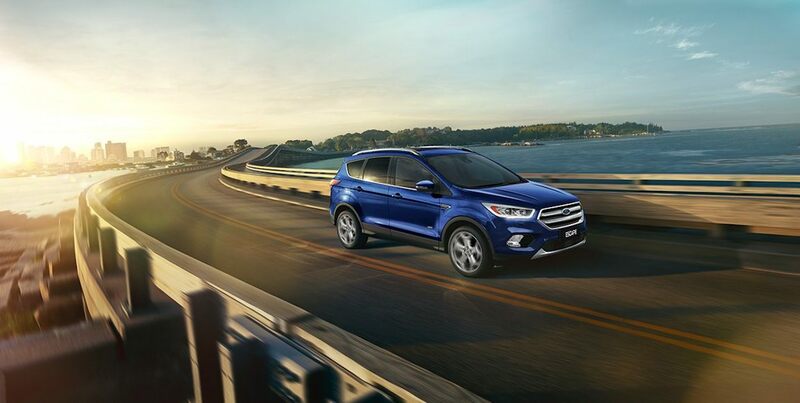 Take your foot off the brake pedal and Hill Launch Assist 13 holds the brakes for a few seconds, giving you time to smoothly accelerate away. 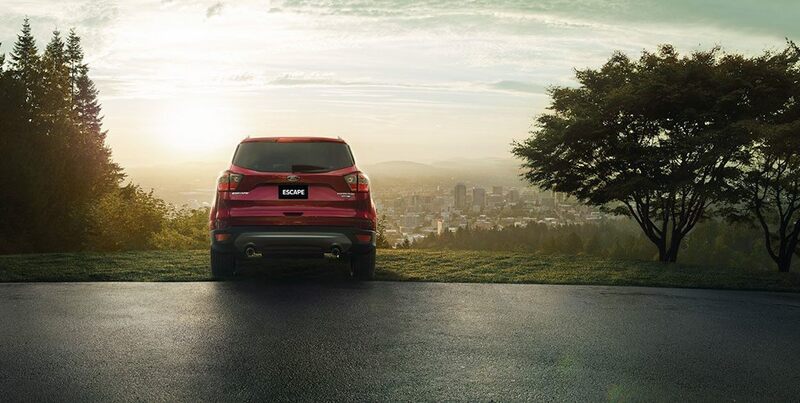 Whether you're facing uphill or down. When your kids are old enough to borrow your Escape, MyKey™ helps to ensure they will drive as if you were in the car with them. 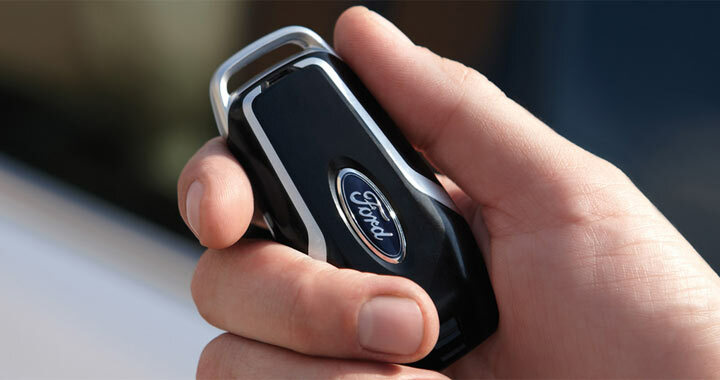 Simply program MyKey™ to limit Escape's top speed and regulate stereo volume. It’s a small thing but a very important one. Indicator lights in the side mirrors can let you know if there’s a vehicle detected in your blind spot when changing lanes. So you can see what you can’t see. 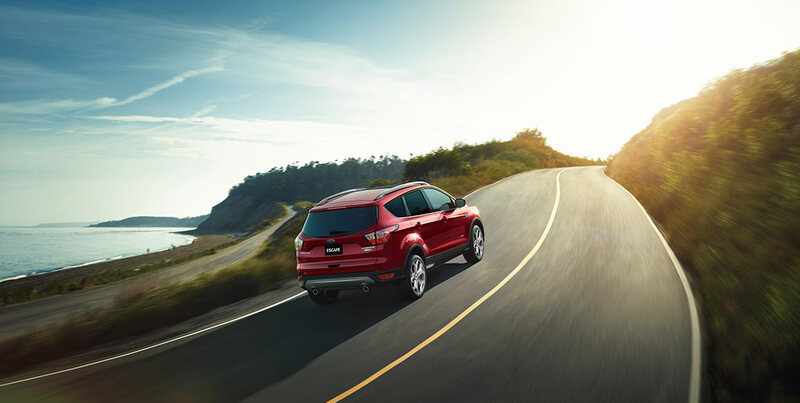 When traffic is crawling along, it can be easy to miss someone suddenly stopping up front. In speeds of up to 50km/h, Enhanced Active City Stop can detect if the car in front has unexpectedly stopped and automatically apply the brakes if you don’t. Cruise Control is great on the open road. But, even here, you can find traffic. So instead of having to turn Cruise Control on and off, Adaptive Cruise Control adapts. If it senses traffic is slowing, it slows. When the traffic clears, it goes back to your pre-set speed. When oncoming traffic is detected, the headlights automatically dip to ensure other drivers won't be 'blinded by the light'. Once the vehicle has passed, the high beams turn on again. 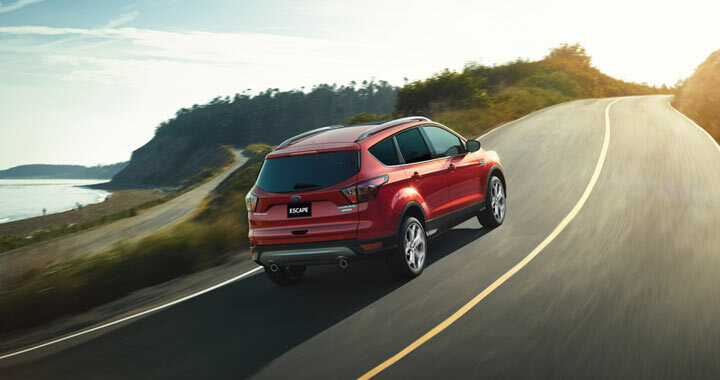 Responsive, nimble and more than capable of tackling tough road conditions - almost nothing is off limits to the Escape. 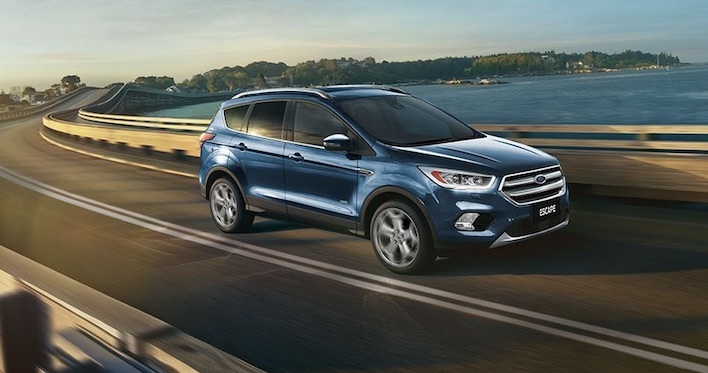 A choice of cutting-edge EcoBoost engines are designed so you'll spend more time exploring and less time at the fuel pump. 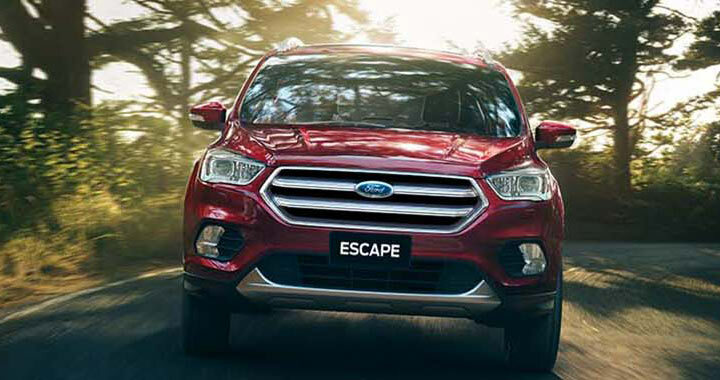 Escape's 1.5L EcoBoost and twin-scroll 2.0L EcoBoost engines combine turbocharging and direct injection technology to maximise power from every compression while helping you save on fuel. 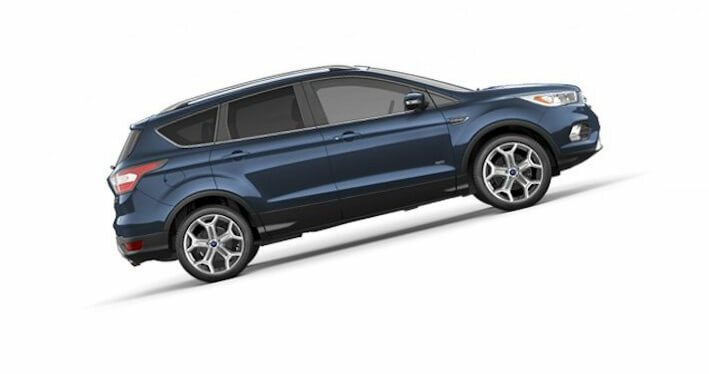 Enjoy all the low-end torque you need to effortlessly haul virtually any family-sized load. Why waste fuel at idle? 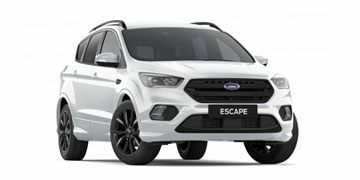 Escape knows when you've stopped at lights or stuck in traffic and shuts down the engine automatically. When you're ready to drive again, just press the accelerator and the engine restarts. 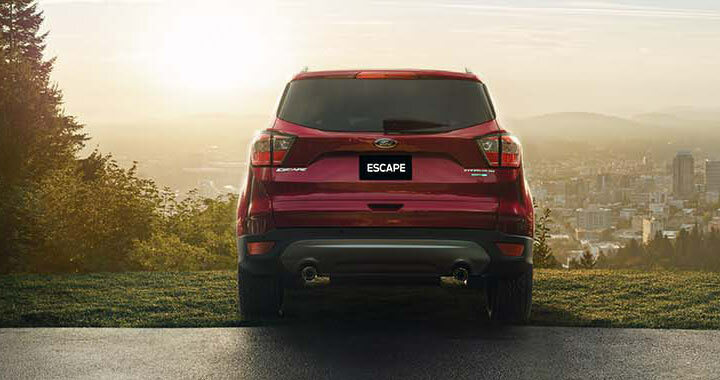 Escape is engineered to handle all life's twists and turns. 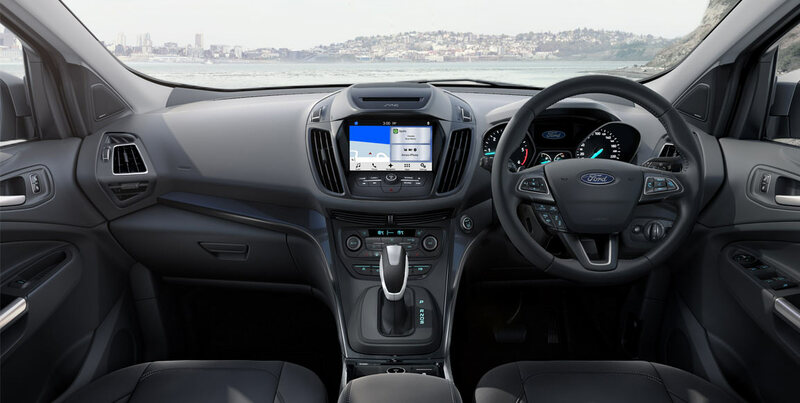 On winding roads or when manoeuvring tight bends, Torque Vectoring Control transfers torque to the wheels with the most grip, to help enhance control and virtually eliminate under-steer. Nothing is more important than your family’s safety. 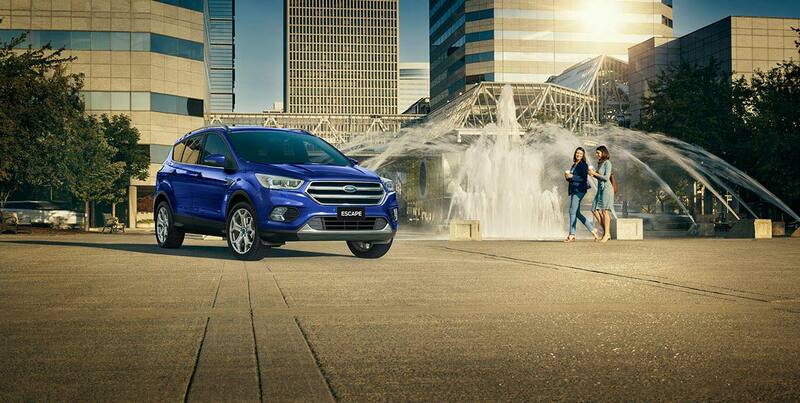 So when adventure calls, Escape gives you the confidence to say “Let’s go!”. 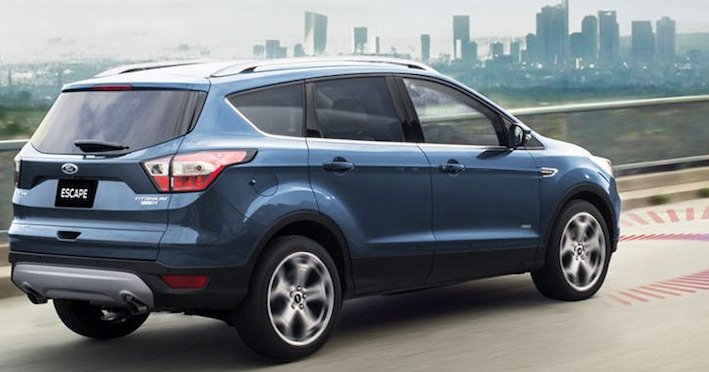 In addition to seven airbags, the Escape offers real peace of mind with advanced safety features as standard. SYNC® 3 4 is there for you when you need it most. If you’re in an accident that deploys the airbags or activates the fuel pump shut off, Emergency Assistance uses your paired and in range mobile phone, to dial emergency services and provides them with your precise GPS coordinates. 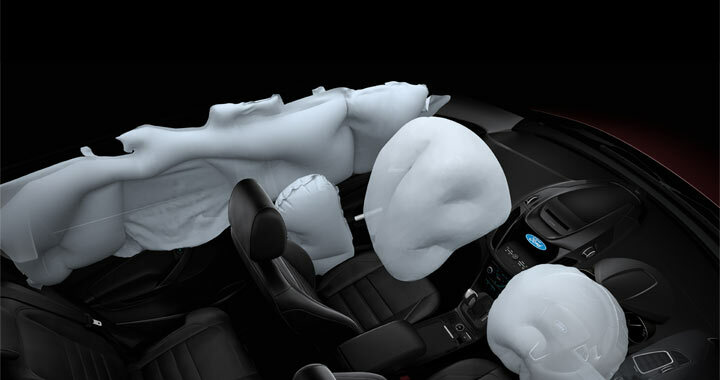 The Escape's seven airbags - including side curtain airbags - offer extra protection for both front and backseat passengers. That's safety in numbers. 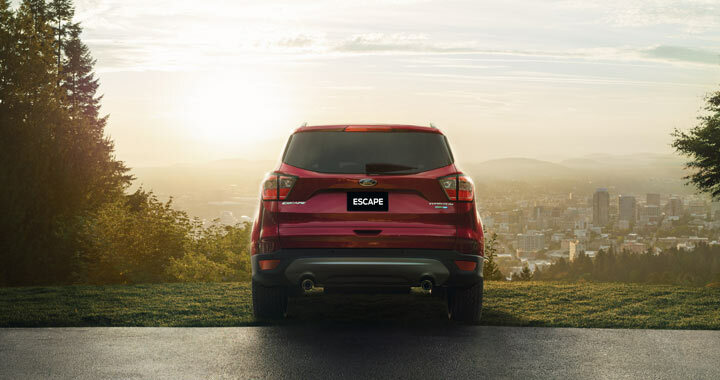 You have added peace of mind knowing that the entire Escape range has a 5-star ANCAP safety rating. 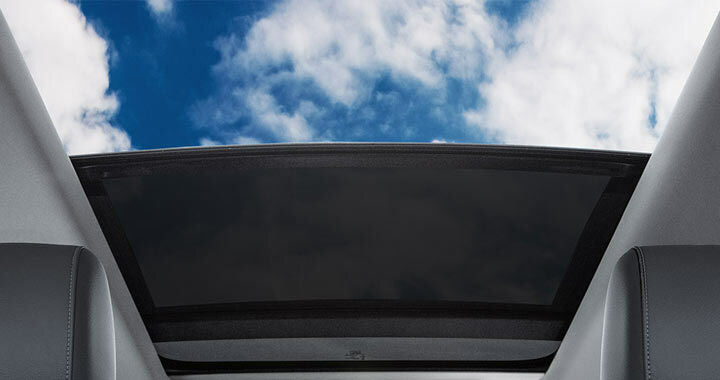 At speeds of up to 50 km/h, Enhanced Active City Stop can detect if the car in front unexpectedly stops and can automatically apply the brakes to help avoid a rear-end collision or reduce the impact of one13 21. The estimated drive away price is based on a vehicle being garaged in your currently selected postcode and on the owner being a 'rating one' driver aged 40 with a good driving record. 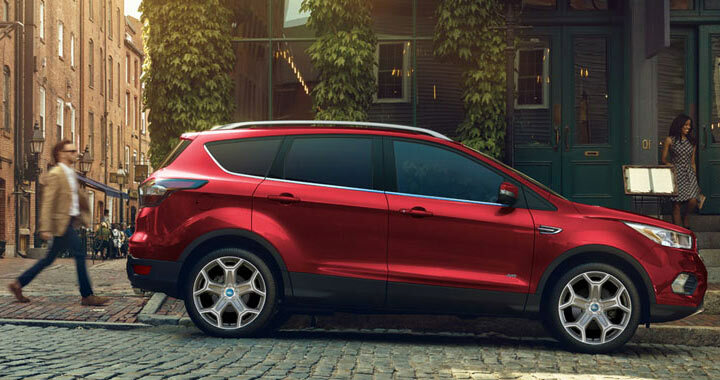 The estimated drive away price includes Manufacturer’s List Price, 12 months registration, 12 months compulsory third party insurance (CTP), an estimated Dealer delivery charge, stamp duty and other applicable statutory charges. 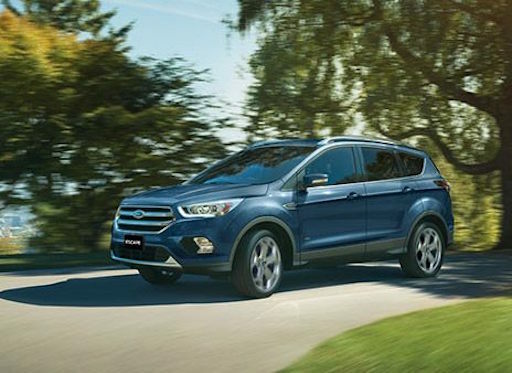 The estimated drive away price is for the base manual model (where a manual derivative is not available, the base model is automatic) and does not include prestige paint or any options or accessories unless specified. 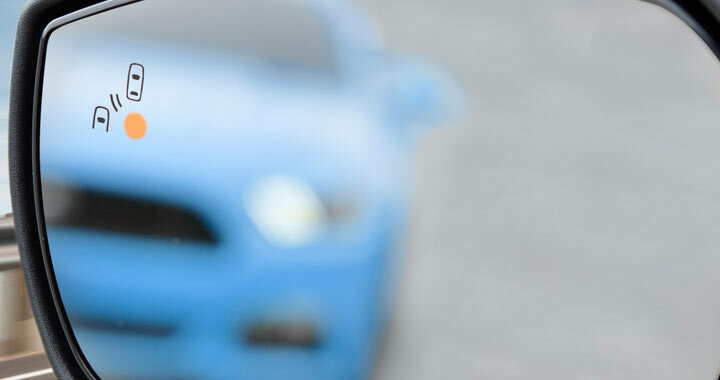 Your actual drive away price is at the discretion of the selling dealer and may differ depending on your individual circumstances or choice of insurer. Statutory charges are current as at 19/8/16. Please contact us to confirm a price that is specific to you. Not all SYNC® 3 features are compatible with all phones. Warning: Local laws prohibit some or all of the phone functions while driving. Check your local road rules before using these functions. Available on Titanium model only. Not all SYNC® 3 features are compatible with all phones. Warning: Local laws prohibit some or all of the text messaging functions while driving. Check your local road rules before using these functions. 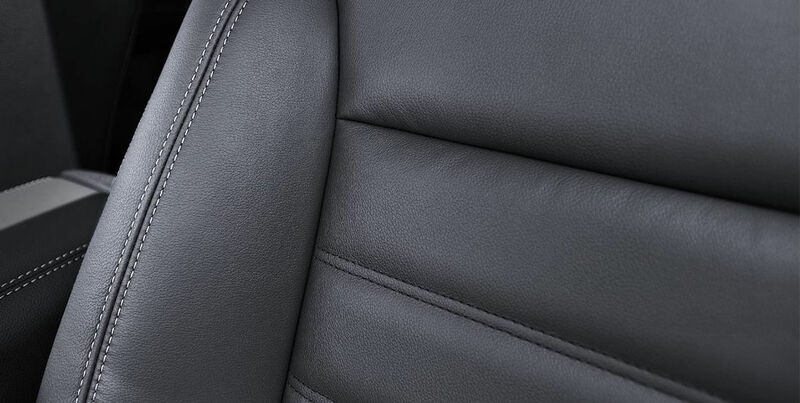 You must have a Bluetooth® enabled phone paired to your SYNC® system. The Bluetooth word mark is a trademark of the Bluetooth SIG, Inc. The term Wi-Fi® is a registered trademark of the Wi-Fi Alliance® . 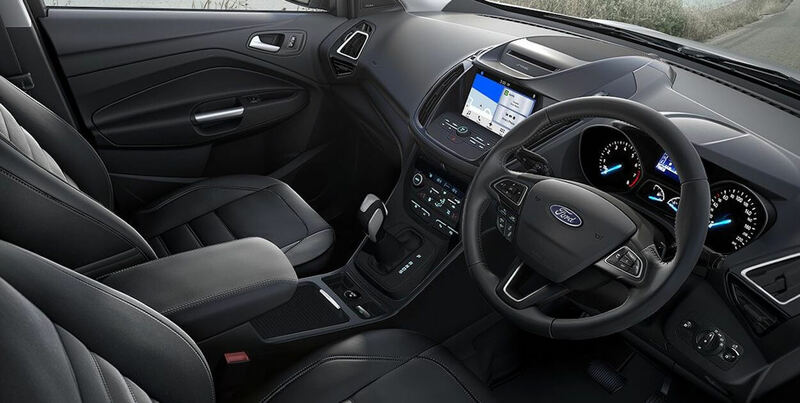 Optional Navigation System map updates cannot be received via Wi-Fi and require a separate update, see your Ford Dealer. Apple CarPlay™ requires phone with compatible version of Apple iOS, active data service, and connection cable (sold separately). 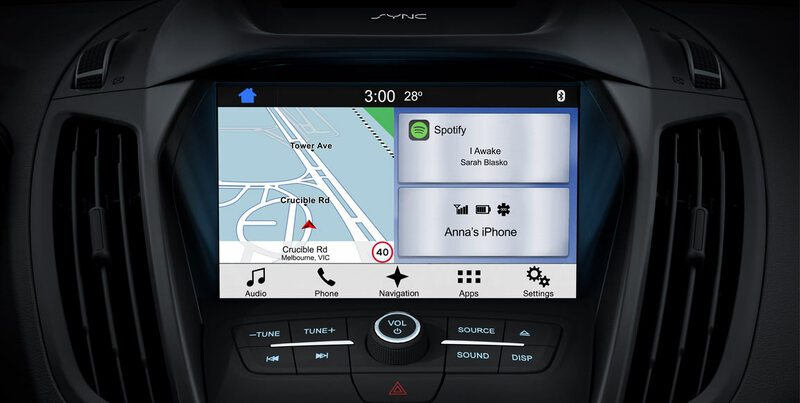 SYNC® does not control Apple CarPlay™ while in use. Apple is solely responsible for their functionality. Message and data rates may apply. Apple CarPlay, Siri Eyes Free, iPod and iPhone are trademarks of Apple Inc. registered in the US and other countries. Android Auto requires a phone with a compatible version of Android, an active data service and a connection cable (sold separately). Message and data rates may apply. 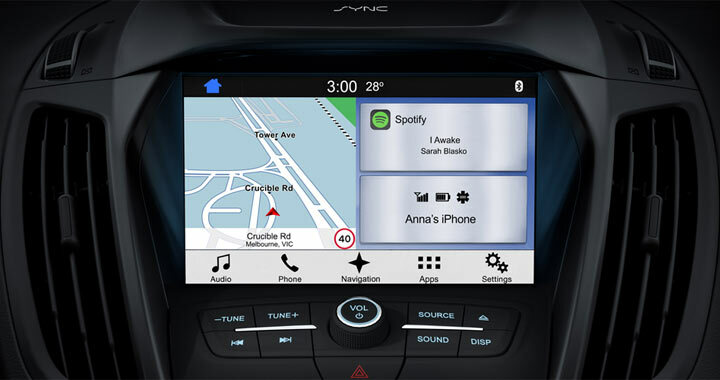 Android Auto and Google Maps are trademarks of Google Inc.
 Ford AppLink™ is available on selected SYNC® models and is compatible with select smartphone platforms. Standard on Titanium model. Optional on Trend. Driver-assist features are supplemental and do not replace the driver’s attention, judgment and need to control the vehicle. May not operate in some driving and road conditions or adverse weather. Part of an Optional Technology pack available on Trend and Titanium models. 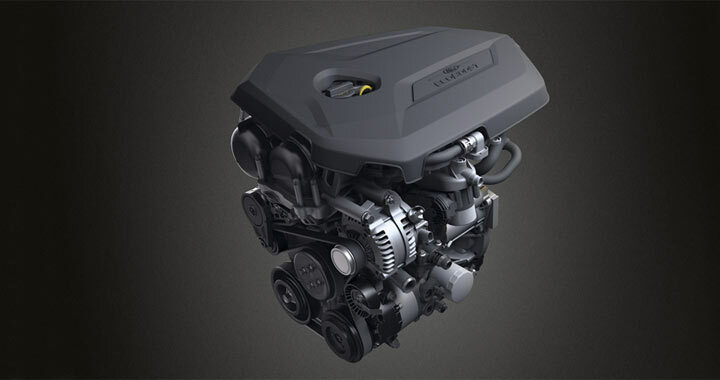 Designed to operate at speeds above 10km/h. Enhanced Active City Stop may help avoid or minimise impact of a collision between speeds of 3.6km/h and 50km/h. It is not a substitute for driver alertness. Function may not operate in some driving and road conditions or adverse weather. Adaptive Cruise Control with Forward Alert and Enhanced Collision Mitigation is a driver-assistance feature which is supplemented and does not replace driver’s judgement. Function may not operate in some driving and road conditions or adverse weather. Deactivation does not occur in all circumstances. Available on AWD models only. Available on auto models only. Enhanced Active City Stop is a driver-assist feature that may help avoid or minimise impact of a collision with a moving vehicle between speeds of 3.6km/h and 50km/h.